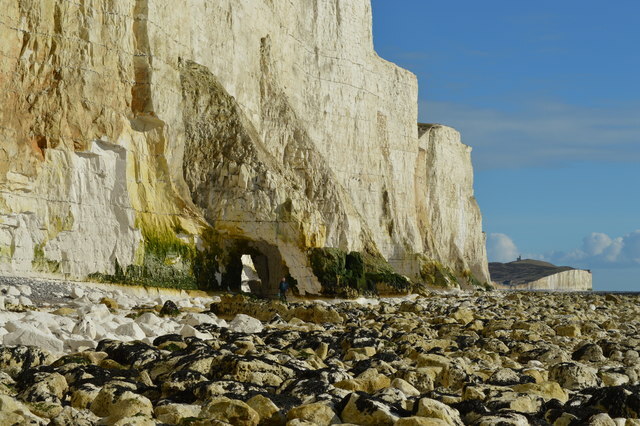 This photo shows a natural arch on the cliffs of the Seven Sisters in East Sussex. The arch cuts through a buttress of chalk at the foot of the cliffs. © Copyright Andrew Diack and licensed for reuse under this Creative Commons Licence.